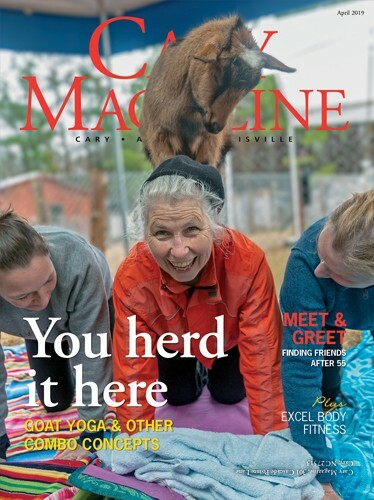 A signature Cary Magazine feature that each year introduces you to a handful of women who embody our own aspirations. Here, our honorees share their stories and advice on taking risks, finding rewards, and using our voices to better our world. Nicole Dozier believes in advocacy, from working to address today’s volatile healthcare climate as director of the Health Advocacy Project at the North Carolina Justice Center, to promoting investment in her home community as Apex mayor pro-tem. “I feel that we have an assignment in this life,” she says. The best way to help people, Nicole Dozier believes, is to teach them how to do for themselves. That’s the goal of her work as director of the Health Advocacy Project, one of seven policy projects at the nonprofit North Carolina Justice Center. “Healthcare is one of the main reasons for poverty, and medical debt makes up a large percentage of bankruptcies,” said Dozier, a former disability services specialist and a State Bar-certified paralegal. She joined the Justice Center in 1996 to work on Hyatt v. Barnhart, a class action suit against the Social Security Administration on behalf of more than 144,000 people denied their disability claims. “We helped get millions of dollars in benefits into the hands of people who needed them, since they could no longer work due to disability,” Dozier said. She also found herself a new job. 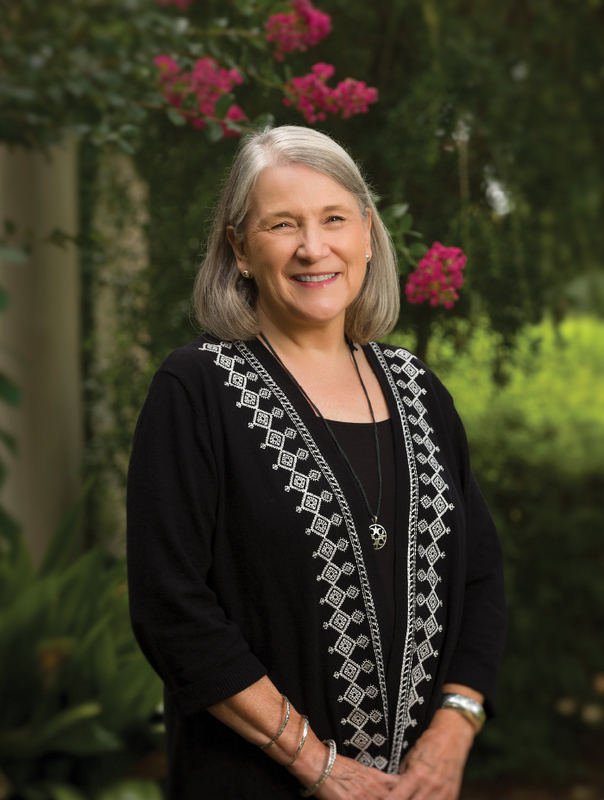 Dozier has since earned a lifetime achievement award from the North Carolina Advocates for Justice, and serves on the statewide Care 4 Carolina coalition, among others. Today’s volatile healthcare climate must be addressed, Dozier says, for those living in rural communities, seniors, racial and ethnic minorities, and the self-employed. The Health Advocacy Project works to secure healthcare policies that meet the needs of all North Carolinians, especially with respect to the Affordable Care Act and Medicaid reform. Through public forums, Dozier takes that message across North Carolina, to empower consumers. “We primarily help people with low and moderate incomes through media, communications, education and community engagement statewide, litigation as necessary, and lobbying at the state and federal levels,” Dozier said. Dozier and her “small and mighty team” on the Health Advocacy Project would like to see every individual guaranteed quality healthcare through coverage, similar to the way education is guaranteed to all. 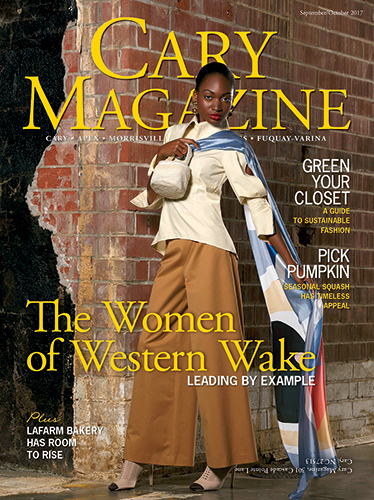 Cary Magazine’s annual Woman of Western Wake Luncheon honors the achievements and successes of local women who are outstanding leaders and have a strong impact on our corner of the world, and beyond. 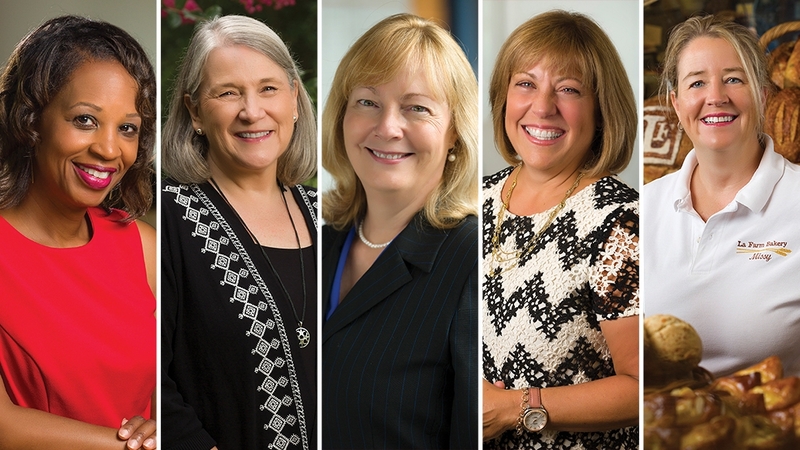 During a panel discussion, the 2017 Women of Western Wake Honorees will share some of the philosophies that make them successful. As a registered guest of the luncheon, held at The Umstead Hotel in Cary, you will enjoy an immersive experience that brings together a community of people who value the advancement of women in our society. Learn more about the Women of Western Wake Luncheon here. 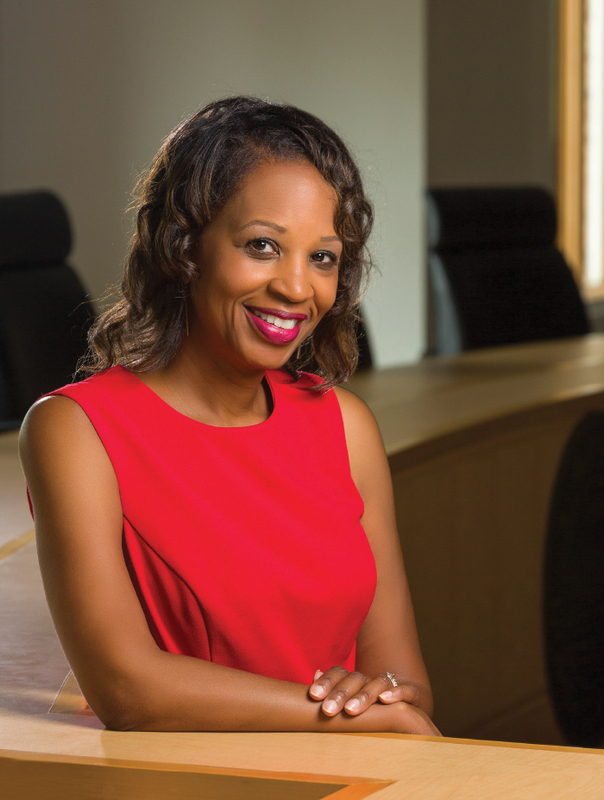 Outside of her work with the Justice Center, Dozier serves as mayor pro-tem in Apex, and founded the ThinkApex initiative to encourage investment in the community, toward a more vibrant economic environment and quality of life. She sees these roles as a natural progression of her upbringing, reared by two educators who are always working to address community issues. Rapid growth in Apex means council members must address issues including housing, infrastructure, schools and transportation, while working to retain the town’s Main Street feel. “Working with people from diverse backgrounds and perspectives, I try to conduct myself and my work in a way that, even if they disagree with a decision I make on an issue, they still believe in me and know the path I took to get to that decision,” Dozier said. Dozier jokes that she’s come a long way from being the student who froze each year at the county spelling bee when faced with an audience. “If I can encourage respect, that’s leadership,” she said. “One measure of success, as it relates to advocacy, is when I can work alongside a variety of stakeholders on initiatives and policies that enhance the entire community. The warm smile, kind eyes, and calm voice of Leigh Duque — you just know she’s a wonderful mother and grandmother — reveal only the surface of this tireless advocate for women. As the executive director at InterAct of Wake County, Duque travels through a labyrinth of locked doors, in place to protect the women and children who are victims of domestic abuse or sexual violence, and her voice takes on a sense of urgency as she passionately rattles off a startling statistic, that one in three women will be a victim of domestic or sexual violence. Duque points with pride to the strategic partnerships InterAct has with nine different agencies to deal with crisis and help victims achieve self-sufficiency. And she speaks with hope as she describes the collaborative work of a multi-disciplinary group which studies four domestic violence fatalities a year, to see where the system missed things, so changes can be made and lives saved. For Duque, breaking the cycle of violence is all about women’s empowerment. That has been the constant thread in her career and her life. How many times has Duque recited that Girl Scout promise? Too many to count, since the age of 6. And no one can say she has not lived that promise. As a third generation Scout and Scout leader — her grandmother led her mother, her mother led her, and she led her daughters — empowering women and girls has deep roots in Duque’s family. After marrying her college sweetheart while still at East Carolina University, and having their four daughters in eight years, Duque first found a way to empower women by creating a group she called Mothers and Babies, a support group with an eight-week curricula for moms and a playdate for the babies. Years later when she entered the workforce, it was the Girl Scouts that provided her first career opportunity, as a field director. Duque introduced what had been a tradition in her family to inner-city girls in San Diego — another support and prevention network for those in need. Her long career in executive nonprofit work involved several stints with Girl Scouts, the YWCA, and finally InterAct. Long before buzzwords like mentoring, authentic and collaborating became part of the working woman’s vernacular, Duque was quietly doing those things, often without title or fanfare. Her lessons in leadership are tried and true. When it comes to vision, Duque says it’s not about being a fearless, larger-than-life leader out in front of the pack. Finally, Duque says, find your voice. In embracing her own authentic voice, Duque can see how her most empowering work may still be ahead of her. A former professor, Greene launched Wake Tech’s Northern Wake Campus in 2007 and in 2015 stepped into the school’s second-highest leadership post, under President Stephen Scott. She leads strategic planning, manages a $300 million operating budget with an emphasis on future viability, and oversees five campuses serving more than 72,000 commuting and online students, who study everything from English as a Second Language to cybersecurity. The role of community colleges, Greene says, goes beyond educating individuals, to serving as a crucial part of state economic development. “The two are linked and mutually dependent,” said Greene, one of 40 leaders selected for the inaugural Aspen Presidential Fellowship for Community College Excellence by The Aspen Institute in Washington, D.C., in 2016. Greene also sits on the Wake County Task Force on Employment and Wage Issues for Women, which addresses the obstacles women face in gaining education and employment, returning to work after an absence, and the gender wage gap. “Life reasons” cause students to drop out more so than academics, she says. Today’s community college advisers must encourage students to be savvy consumers regarding an educational program’s job opportunities and return on investment. On the flip side of that, approximately 25 percent of Wake Tech students already hold a four-year degree. Greene says they represent the future of education. “We kept the word ‘technical’ in our name for a reason,” she said. “It’s an acknowledgement of the technical requirements of today’s workforce. It reminds us of our responsibility to keep abreast. The largest community college in North Carolina, Wake Tech has key partnerships with North Carolina’s public school system, its universities and corporations such as Lenovo, which offers paid internships for Wake Tech students. Also essential to the work is Wake County commissioners’ commitment to funding for Wake Tech, totaling $24.4 million for capital improvements in fiscal year 2017. Some of that money will be used for a second building on the RTP Campus, in Morrisville, to house programs tied to the Research Triangle Partnership’s Clusters of Innovation. “Part of the community college mission is to stay relevant. The RTP campus — we are building it where the jobs are, for today and tomorrow,” Greene said. It takes teamwork to continuously adapt in this fast-changing world. With a master of divinity and a doctor of education in higher education leadership, and a seat on the board of Kraft Family YMCA, helping others achieve is Greene’s life work, and it’s never done. Greene believes wholeheartedly in this message hanging in the lobby of her office: Wake Tech Changes Lives Every Day. When Fara Palumbo spies someone in the office she doesn’t know, she makes a beeline to introduce herself. 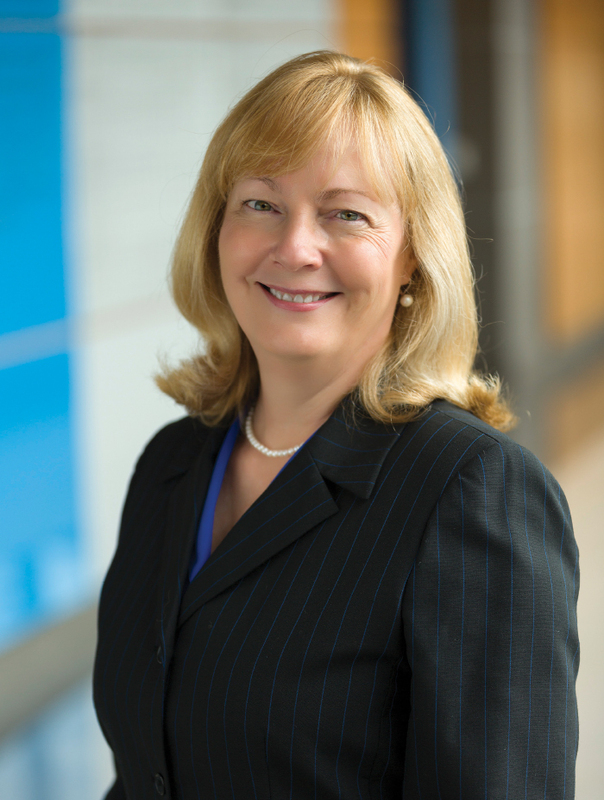 A handshake and a smile may seem trivial, but these personal connections energize Palumbo, the senior vice president and chief human resources officer at Blue Cross Blue Shield of North Carolina. Throughout Palumbo’s career, including more than 20 years at BCBSNC, it has always been about the people — coaching them to be the best they can be and creating an environment where they can achieve great things. Palumbo has led several initiatives which have solidified the company’s reputation as an employer of choice. In 2006, BCBS opened an on-site backup child care facility, serving employees whose primary care had fallen through. New mothers can also keep their babies at the center for up to a month, easing the transition back to work. The program helped BCBS qualify for Working Mother magazine’s list of 100 Best Companies, where it has remained for more than a decade. The company is constantly tweaking its benefits, Palumbo says, comparing itself against other companies on the Working Mother list. Earlier this year, BCBS changed its parental leave policy to offer 12 weeks of paid leave. That includes fathers and adoptive parents. Palumbo knows something about the importance of flexibility. After 14 years at Citibank in New York, she, her husband and two children moved to North Carolina seeking a better lifestyle. Instead of an hour-and-a-half, one-way commute, her office was 10 minutes away. She volunteered at her children’s schools and because of her daughter’s interest in dance, served for many years with the Triangle Youth Ballet. As her kids got older, she shifted her volunteering to causes close to her own heart such as the Caring Community Foundation, which provides financial support for cancer patients. 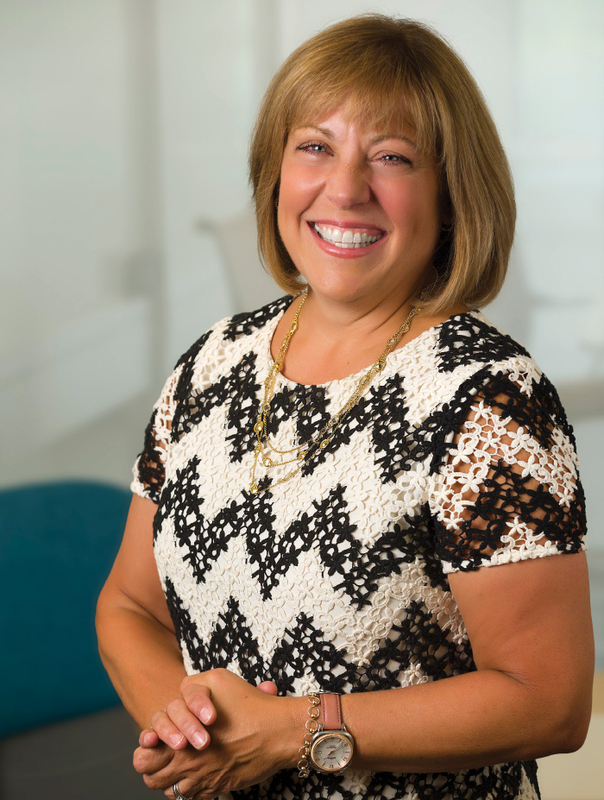 Palumbo, a breast cancer survivor, currently serves on the board of the regional affiliate of breast cancer organization Susan G. Komen. “Being on these boards gives you the opportunity to step outside the workplace, yet still use your leadership skills, your strategic planning skills,” she said. Volunteering is also a way to give back. Palumbo, who speaks often about the opportunities she has been given, calls it her responsibility to help others just as she was helped early in her career. While describing the trust her superiors have given her over the years, she also emphasizes that she has learned tremendously from those she has supervised. “We always talk about career development as relying on people above you to help you develop,” said Palumbo. “But another important aspect is, you have to rely on people below you. Just because I’m the manager, doesn’t mean I’m going to know everything. Palumbo’s personal mantra has a dose of that same humility: Never forget where you came from. The way Missy Vatinet sees it, entrepreneurs have a choice to make each day: To be good, or to be great. “Here at La Farm, we choose to be great,” said Vatinet, half of the husband and wife team at the helm of Cary’s popular bakery and café. 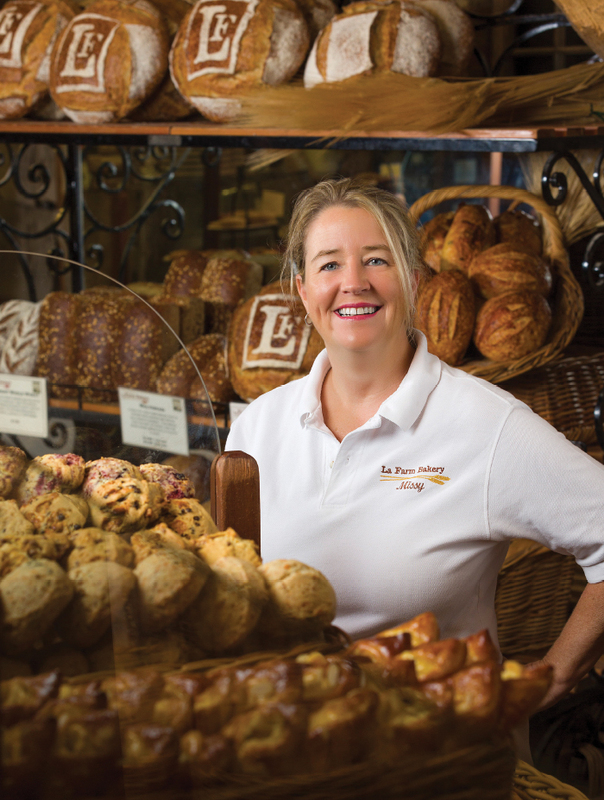 She cites La Farm Bakery’s commitment to centuries-old French baking techniques, its passionate staff and enthusiastic customers for much of that greatness, while seldom admitting that she leads the way. “La Farm is so much bigger than Lionel and me,” Vatinet said. Throughout La Farm’s 19 years of operation, Vatinet’s leadership roles have encompassed bakery sales, operations manager, marketing, human resources and finance. “I work in service to the team, so that we can continue to build the team that enables us to get where we want to be,” she said. Vatinet’s food industry experience dates back to her collegiate years, where she studied hospitality at Virginia Tech. She held several positions across the U.S., consulting on new restaurant concepts, understanding consumer behavior, and developing her passion for natural food retail, before she met Lionel at an industry trade show. Nineteen years later, La Farm has grown to employ more than 80 associates, added a café at Preston Corners, and recently opened a production bakery and granary in downtown Cary. Passion exudes from Vatinet as she speaks about their work with heritage grains, reclaimed nutritional value, and behind-the-scenes partnerships with the state’s agricultural community. Respecting all of the components and vendors contributing to their products fuels the desire to craft every loaf with exceptional quality. The bakery’s new downtown location, which adds 7,000 square feet of storage and technical space, a walk-up bakery counter and will eventually have a café, is part of the plan. Pointing to a deep brown loaf of bread on the counter beside her, made from spelt grains that have been soaked before baking, Vatinet notes that her husband developed the technique to add moisture to this bread, which is well-tolerated by people sensitive to gluten. To balance her passion, Vatinet admits having to continuously relearn how and where to establish life’s boundaries. “Finding that balance between owning (the business) or it owning you is a daily challenge. Sometimes you do it well; sometimes you do it really, really not well. And then you get back up, and you try again,” she said. Business conversations also frequently occur in the Vatinets’ home after hours. These lessons are vital to the Vatinets as parents of daughters, Lea, 8, and Emilie, 7.